Readers will explore the skies and learn about the diverse jobs performed by a country's air force personnel. 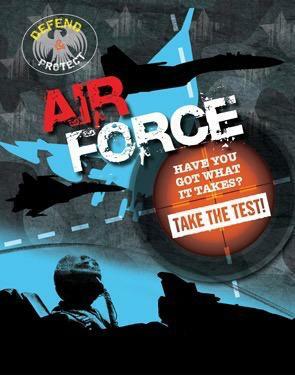 Supplemented with detailed graphics that show the career path from school to a job in the air force, this book shows that there's more to an air force than just pilots--air crew, technicians, and ground support all play pivotal roles in an air force's essential duties. Readers also discover how an air force uses cutting-edge technology like GPS in aircraft and weapons systems, and how this technology has trickled down to products readers may use every day and probably take for granted!